Do you throw out broken pieces of mosquito/incense coils? Not any more, this unique and simple invention holds the coils / broken pieces of coil upright or laid on their side. Not only does it look good but you are saving money by using up any broken pieces of coil. This patented design is so simple, just squeeze to open and place the full coil or a broken piece of coil between the stainless steel arms. Box contains four (4) mosquito coil holders. 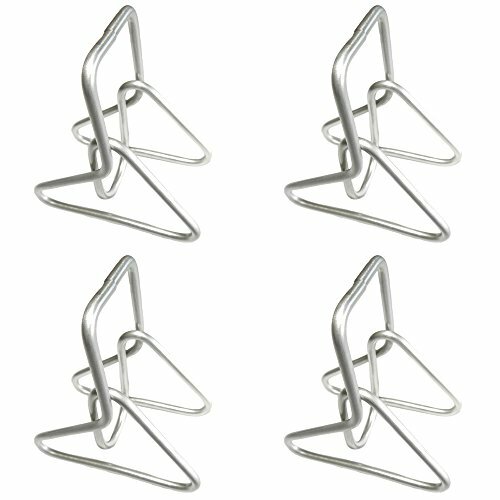 ONLY BUY ONCE - these stainless steel holders will not break or rust - no need to replace next year, or the next, or the next.